The time is right! To make an introduction; among other things. There’s a new blog in town! “Redeeming the time, because the days are evil (Ephesians 5:16).” The title of our good friend’s article, “The Time is Write” is not only witty, but absolutely truthful. As the Holy Spirit breathed that word, “redeeming” into the heart of the Apostle, I’m quite confident Paul had no clue how much it would entail by the 21st century. I’m most convinced that when God gives us gifts to reveal His glory, He anticipates its use to the fullest, and blogging at WordPress is no exception. Is this not an amazing tool to share the gospel of Jesus Christ and of His wondrous relationship with us? How awesome is it to watch God replace fear with faith in our lives? That’s exactly the testimony you will hear from our dear Sister CreativeKim at her new blog site. I hope you’ll take a moment and visit her place to welcome her as she writes… because the time is right. Her energy level and enthusiasm for the Lord is powerfully contagious. You can find her work at forsuchatimetowrite. 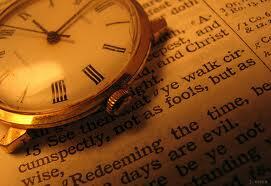 Have a great day in the Lord, and remember; the time is write! This entry was posted in New Blogs and tagged blog, Christianity, Epistle to the Ephesians, faith not fear, Holy Spirit, redeeming the time, WordPress, writing for Jesus. Bookmark the permalink. Hello Mike my friend 🙂 Its been a while. Nice blog promotion. I think I will add it to the list of blogs I read. Hello my good friend! Long time; no see. Yes, I’m looking forward to reading as Kim brings the gospel through her writing and glorifies our Lord. Great to see you! I am looking forward to reading her inkouragement!! And thankful that you are sharing your wordsmith skills with a new blogger…what a great example of mentoring.